Do see your doctor. It is important that you immediately see your regular physician or emergency room doctor and detail all of your physical injuries. Don’t hesitate to go to the emergency room if you are experiencing pain. Do photograph the injuries and the scene. Photographing the injuries will help an insurance adjuster or jury understand the severity of the injuries. Photographing the accident scene helps preserve the evidence so that an insurance company can’t play tricks with the jury. Make sure you tell your doctor or intake nurse each and every area of physical pain or injury. Do call an experienced personal injury lawyer. 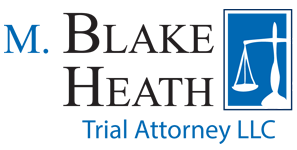 Getting experienced trial counsel on your side early will allow the preservation of evidence and the collection of information to begin immediately. Please be extremely careful when hiring a personal injury lawyer and make sure you know the right questions to ask. Do notify your own insurance carrier. Your own insurance carrier may have coverage such as underinsured, uninsured, or medical payment benefits that can help cover your injuries. You will want to make sure they know immediately that you have been involved in an accident or wreck. Do take careful notes. Taking careful notes or keeping a journal will allow an insurance adjuster or jury to know about the pain and suffering that you experienced, the doctors’ visits you have been to and any time from your job you have missed. Notes or a journal will allow the insurance company to fully understand the severity of your injuries. It will also help you keep track of any activities you have missed or particular pain you have experienced. Don’t give a statement to anyone. Insurance companies, while acting like they are on your side, take statements to be used to destroy your case. Statements are used during jury trials to impeach witnesses, even if the differences in the story are minor. Giving a recorded statement can never help your claim. Adjusters take classes on how to trick you. Don’t sign an authorization. Signing an authorization will allow insurance companies to collect medical and employment records that they are not entitled to. Missouri courts often limit the scope of discovery so that irrelevant and personal information is not discovered. Signing an authorization for an insurance company simply allows them to collect information to which they are not entitled.